Islamabad, March 20: Hours after the Special NIA Court in Panchkula on Wednesday acquitted Naba Kumar Sarkar alias Swami Aseemanand and three others – Lokesh Sharma, Kamal Chauhan and Rajinder Chaudhary – in the 2007 Samjhauta Express blast case, Pakistan’s Ministry of Foreign Affairs summoned the Indian High Commissioner to register a strong protest and condemnation. However, Indian High Commissioner Ajay Biseria rejected Pakistan assertions and reminded them to take actions against Jaish-e-Mohammad (JeM), responsible for Pulwama terror attacks. 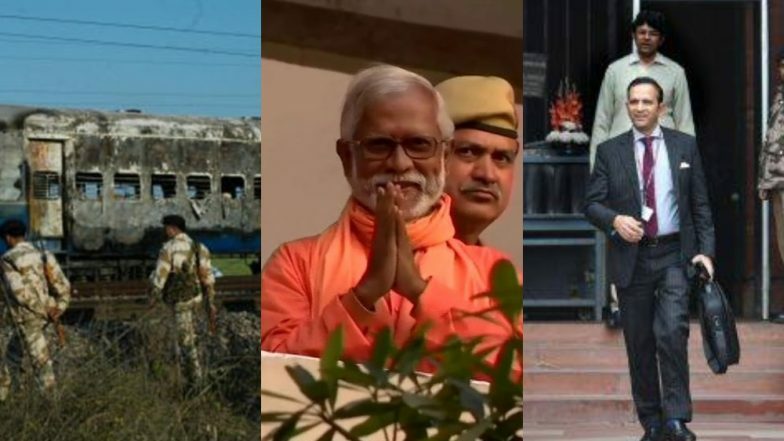 Samjhauta Blast Case: Swami Aseemanand, 3 Others Acquitted by NIA Court. According to the sources, during the summon, Indian HC pointed out that Pakistan is yet to take credible and irreversible steps against JeM, other terror entities and individuals, despite a detailed dossier having been shared after Pulwama attack. Also, rejecting Pakistan’s assertions, India highlighted that the Indian Courts and judicial system followed the due process of law transparently. Along with this, the Indian diplomat asked for an expeditious trial in 26/11 Mumbai terror attack in which detailed evidence has been given to Pakistan. According to the case, an IED blast was carried out in the Samjhauta train – which runs between Delhi and Lahore – at Panipat in Haryana on February 18 in 2007. The probing agency – NIA – was of the opinion the IED blast was carried out with a conspiracy, aiming at threatening the ‘unity, integrity, security and sovereignty’ of India. During the probe, the NIA officials claimed that they have found Aseemanand responsible behind the blast, providing the ideological and financial support to those accused to those who carried out the attacks. Also, Assemanand was charge-sheeted in providing shelter to those accused. Due to the blast, 43 Pakistan citizens, 10 Indian citizens and 15 unidentified people were killed. Though 64 out of the total killed were civil passengers, four railways officials were also killed in the blast. Twelve people were also injured, and a number of coaches were burnt.